Unlikely couple Bet Lynch and Alec Gilroy tied the knot in September 1987. 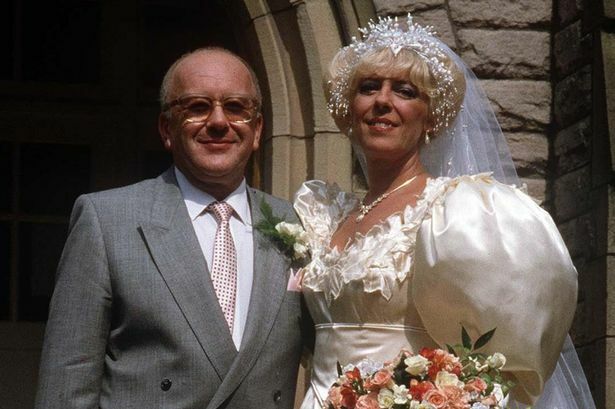 They were one of Coronation Streets 102 eventful weddings in its 53 years, and now it’s seen its first legal marriage! 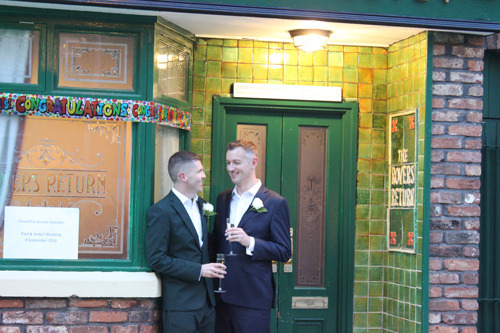 London couple Paul Johnston and Andy Daniel became the first people to legally marry at the former Coronation Street set after the attraction was granted a wedding license in June. 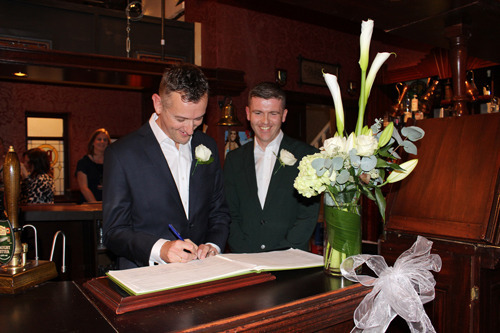 The ceremony, earlier this month, was held inside the Rovers Return with the happy couple exchanging vows behind the bar in front of 32 guests. The wedding party shared a champagne toast inside the Rovers Return before taking advantage of the unique venue to get some memorable wedding photos. The newlyweds then stepped through the doors of Nick’s Bistro to take their first steps as a married couple on the cobbles of the nation’s Street.